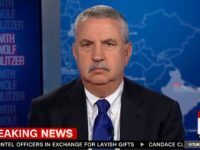 TEL AVIV – The IDF on Monday distanced itself from an unnamed senior official who admitted to the New York Times that Israel was behind an airstrike on an Iranian military facility in Syria in which at least seven Iranians were killed. WASHINGTON, DC — The roots of the ongoing protests in Iran go deeper than just economic problems, but involve growing anger towards the ruling theocracy, argued experts at the Foundation for Defense of Democracies (FDD) think-tank on Friday. 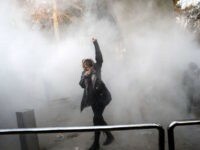 The regime controlling state sponsor of terror Iran has organized “rallies” to counter the largest anti-establishment protests since 2009, prompting clashes between demonstrators and the regime’s security forces who have reportedly killed at least two protesters. 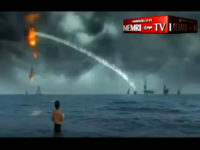 An Islamic State-style propaganda video, released under the supervision of the Iranian regime last month, portrays a group of Iranian men destroying an American Navy fleet. 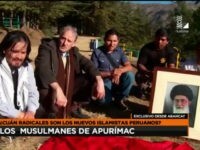 Shiite Iran’s terror proxy Hezbollah (“The Party of God”) has registered as an official political party in Peru’s Abancay province, home to the largest Muslim community in the country, reveals an exclusive report by the Peruvian Latina news agency. 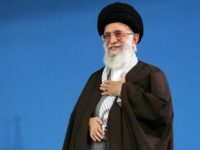 TEL AVIV – The United States is the Middle East’s main enemy, with the “Zionist regime” a close second, Iranian Supreme Leader Ayatollah Ali Khamenei said Sunday. 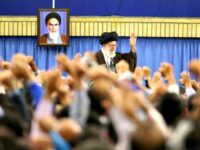 During an address to workers in Tehran, Supreme Leader Ayatollah Ali Khamenei accused the United States of undermining its nuclear deal with Iran. 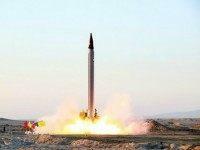 Iran conducted another round of illegal ballistic missile tests on Tuesday, and they may prove to be an even more egregious violation of sanctions than the launch in October. 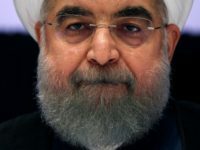 Iran openly defied the United Nations and United States — which an Iranian general described as “our main enemy” — and threatened to walk away from President Obama’s nuclear deal. 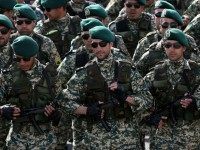 Iran, prompted by a decision reached by the Islamic Republic’s Supreme Leader Ayatollah Ali Khamenei and President Hassan Rouhani, is reportedly withdrawing 2,500 Iranian Revolutionary Guards (IRGCs) and Basiji paramilitary combat soldiers deployed to Syria.